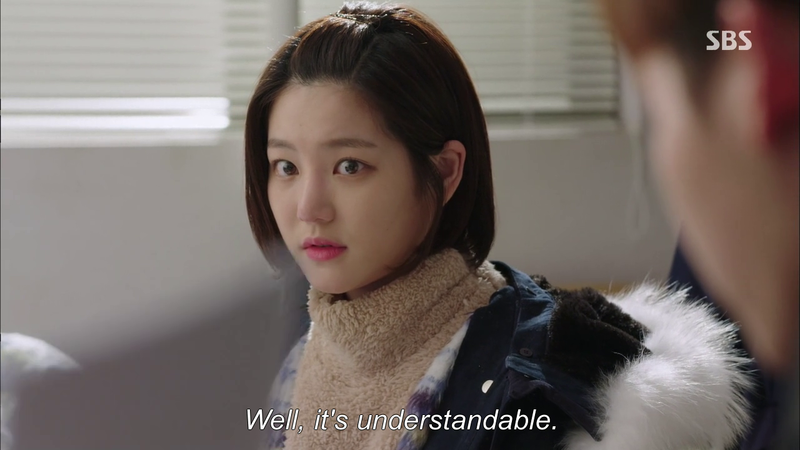 Thankfully everyone’s back to normal for this episode, well except Yoo Rae who’s now head over heels for Ha Myung. Bonds reform, and others break while other fabulous (weary) four go up against their biggest enemy yet, who has a posse of her own. I like where this show is going, I really truly do, but the method it’s using to go that way leaves me a little baffled. This isn’t a show like Healer where this just move at an incredibly fast pace while remaining highly realistic and rather logical. 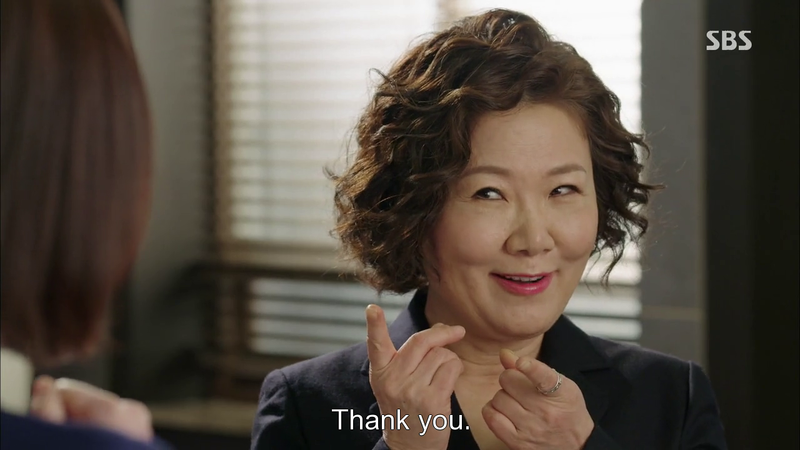 From the hints being dropped around in the previous episode, it was pretty obvious that Bum Joo’s mother was going to be our big baddie, but I wasn’t expecting our reporters to figure out so soon, and so…coincidentally? I honestly don’t know how to put it. How on earth does finding her mother’s earring on in the Chairwoman’s office have any shady implication as to the nature of her and IH’s mother’s relationship? To be honest, I don’t really understand how that jump was made. 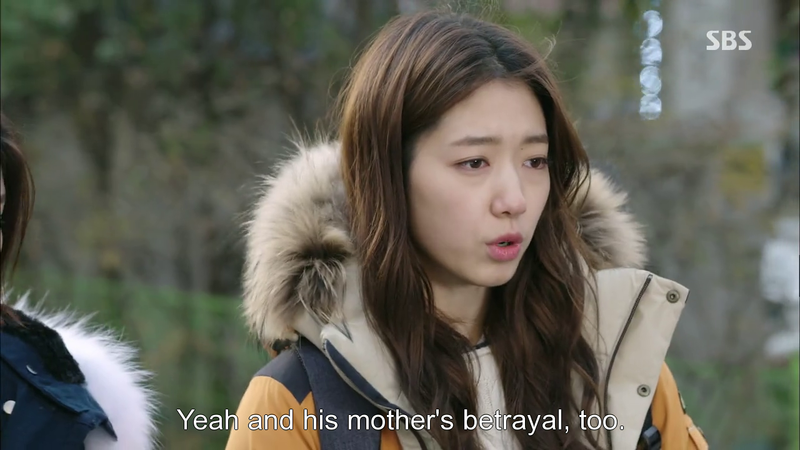 Her mother was as reticent as always with the information, and being friends with Bum Joo’s mother surely doesn’t mean that the latter should automatically not be trusted. But let’s think this through and try to see why InHa’s spider sense started tingling. Why would someone who called Cha Ok over to her place (for some reason or the other) not call back to mention that she’d left her cellphone behind? For some reason, she didn’t want Cha Ok to return to her house, or to be seen near her. Well that’s fine, Bum Joo’s mother, Park Ro Sa, could have a lackey/manager return the phone to Cha Ok instead. So why didn’t she? There are just two reasons. Firstly, Cha Ok didn’t want the phone back to begin with. This appears to be what Bum Joo presumed from the start and it certainly is a valid theory. After the divorce, perhaps she’d have wanted to start afresh and put all memories of her life, and her daughter behind her. The second theory is that Park Ro Sa thought it would be a shame to return the phone as her son had taken a fancy to In Ha and she thinks. Well that’s fine, she should’ve simply let Cha Ok know that the phone was at her place and it wouldn’t be too bad for In Ha to have a long-distance friend in Seoul. But no, she didn’t bother informing CO, seeing that CO didn’t even know that IH had been messaging her all these years. If so, why on earth did Bum Joo’s mother go to such lengths? And why, for that matter was their last meeting the very day before Ha Myung’s mother died? Why haven’t they met in thirteen years? 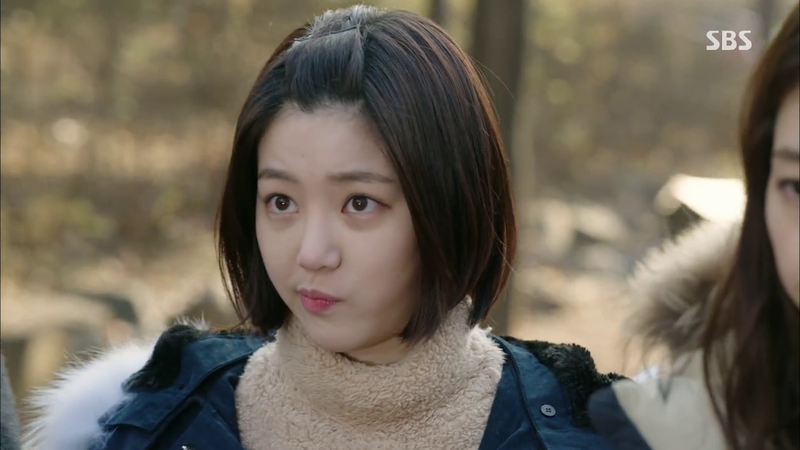 Now it’s this second theory that InHa appears to be going by, hence why she hiccups when stating that she trusts PRS. 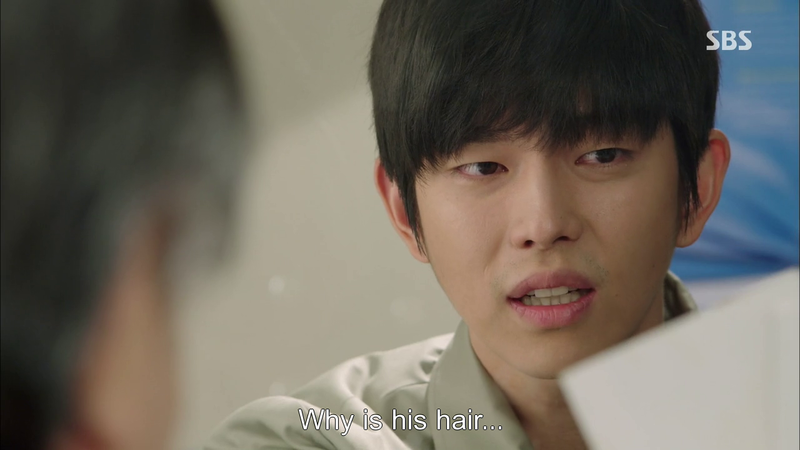 But this thing is, there are two theories here, we’re well aware that the first theory is invalid, but is Inha? So how did she jump to the conclusion that the PRS was up to no good? Or is the implication that anyone on nodding terms with Cha Ok shouldn’t be trusted? It’s a wee bit confusing, even if I can buy it for the sake of the show. Perhaps there’s something I missed, If so, I’d love to know what it was to clear up the confusion! Thank goodness for Bum Joo growing a brain and enough courage to stand on his own. 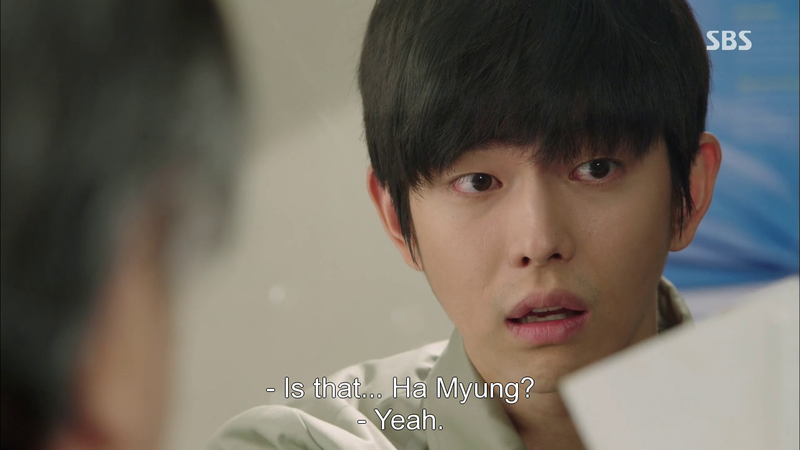 It’s nice to have a parallel between his and Ha Myung’s situations and thankfully brings back the bromance. Yay! I’ll just pass ep 13’s really strange behaviour on everyone’s part as a result of too much Christmas dinner. It’s a bit sad as I really did love their mother-son dynamic, which remind me of Dong Joo and his mother in Angel Eyes (best family ever, right there) but it’s testament to how well this show sold the pair, that you’re shocked at how things turned out, and painfully aware of how Bum Joo must be feeling. Park Ro Sa is even more frightening that IH’s mother in that she hides behind this façade of sweetness that’s pretty disturbing to see. At least, IH’s mother’s full-on Ice Queen personality leaves no one in doubt. People who wear a mask like PRS are far more dangerous. I’m not sure whether she’s trying to hurt Ha Myung by targeting Ahn Chan Soo, or whether there’s something more to her plan. Come to think of it, she was the one who got ACS transferred in the first place. How long as this plan been in the working? Or was it a coincidence that she took advantage of after losing Bum Joo’s trust? Okay, Pinocchio I wasn’t expecting this of you. So this is the second arc of the show. I was wondering where we were going to go now that everyone was out in the open, but it as it turns out, there was yet another layer that had been kept from our sight. And the reveal was brilliantly done. Who would have expected the case that Ahn Chan Soo mentioned at random to blow up in his face just like that? 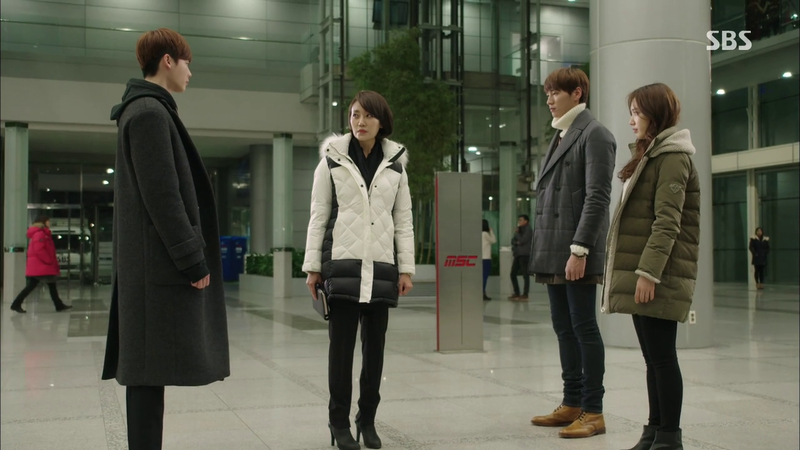 When the moment blended with humour at Ji Hee’s arrival, I’d never have expected things to get serious so quickly. As if the factory explosion wasn’t bad enough to make Ha Myung relive the past, there very clear connection that the wonderful Cap Hwang had an inkling of was even worse. I love how these plot threads are suddenly coming together and I was honestly flabbergasted at the big reveal that the KHM’s father had been used at a scapegoat. The show honestly pulled the rug out from under me there, as I too, fell for CO’s ploy hook, line and sinker albeit in a different way than the general populace within the show. I think most of us were caught up, like Dal Po, with how unfair the whole blame game was, rather than questioning who the real person who should have been blamed was, or wondering why the cause of the fire was never really mentioned. Well done, Pinocchio! It’s chilling to see how easily history began to repeat itself. All it took was one bit of ‘evidence’, and good deal of wordplay for poor Chan Soo to suddenly turn into a villain. It’s even worse now that we know he has a family, and just saw that happy son of his, who’s but a couple years younger than DP was during the case 13 years ago. And all this for what? Politics, as per usual. 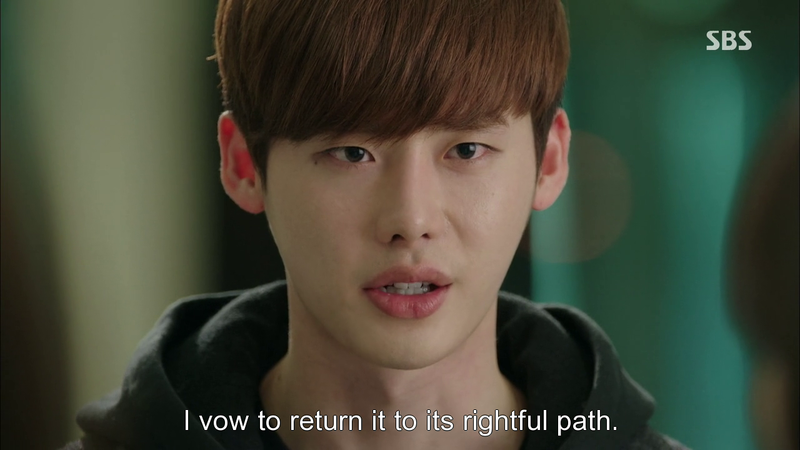 I’d say I was tired of politics being the root issue of all evil in Kdramas, but I’m not. It’s incredibly realistic, and true to the bone. Those with money have power and those with power are limitless. Those who don’t are pawns. And that is precisely what Cha Ok is, whether she knows it or not. I’m both deeply disgusted and curious as to what prompted her to make this devil’s bargain, and what’s in it for her to continue doing so. Her job? Fame? She seems rich enough, judging by those suits. For her to continue on the same path she did 13 years ago, even after having seen the consequences, even after having caused a death, is utterly despicable and there’s honestly no redeeming her from this. If this show plans on turning her into a villain that does a 180, they’re going have to work real hard to convince me to buy it, because as far as I’m concerned, Cha Ok just made her own grave. From the mention of interviewing the victims’ families to her pig-head insistence on drama and flair, it’s clear that Cha Ok has no plans of turning over a new leaf. Ugh, this woman. I love the incredulous look IH shoots her, and how MSC Cap blatantly sasses her. Cap Hwang is easy to love. He’s the very antithesis of Cha Ok, having learnt his lesson almost immediately and doing his best to make up for it, by aiding Ha Myung as much as possible. He’s earned HM’s respect and mine, by being a wonderful example of what a superior should be. Calm, collected, objective, and always with his colleagues best interests at heart. Well scratch, the ‘calm’ part because he certainly gets fired up after Ice Queen breaks her version of the news. It’s good to know that HM, IH and BJ and the others won’t be alone in their upcoming fight, though PRS may be more formidable than they thought. While YYR has become nothing more than a comedic device to highlight Ha Myung and In Ha’s closeness despite their break-up (in contrast to her relative immaturity), Seo Bum Joo is stepping outside his chaebol tower, and growing to be a much finer person than I’d have believed after yesterday’s episode. 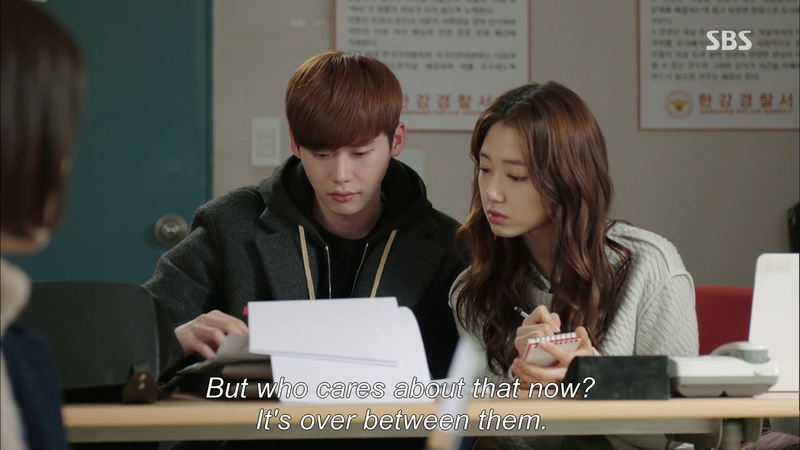 His tactic of trying to make InHa feel guilty is hands-down idiotic, but hey, we’re all idiots in love, I suppose. DP and IH continue to dance around the issue of why on earth it is that they can’t be together, but are thankfully less angsty about it. In fact, they were quite close and almost back to normal, this episode. Seeing how bullheaded the two are about their feelings for each other (and this non-existent barrier that’s stopping them from loving each other freely) I wonder what sort of event it’s going to take to make them see the light. 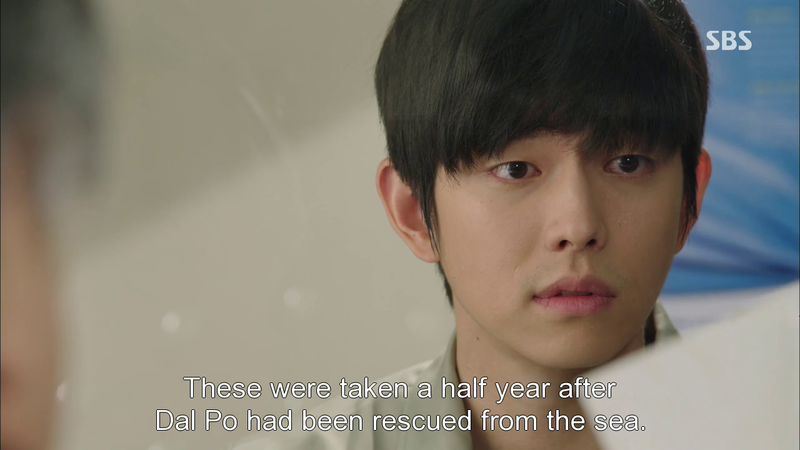 I did love the way they built off each other this episode (from putting paper scraps together, to suspecting PRS, to understanding what Bum Jo is going through), and made poor Yoo Rae quite jealous. (Poor Yoo Rae, always a step behind) I feel sorry for Yoo Rae at this point who’s barely central to the storyline. 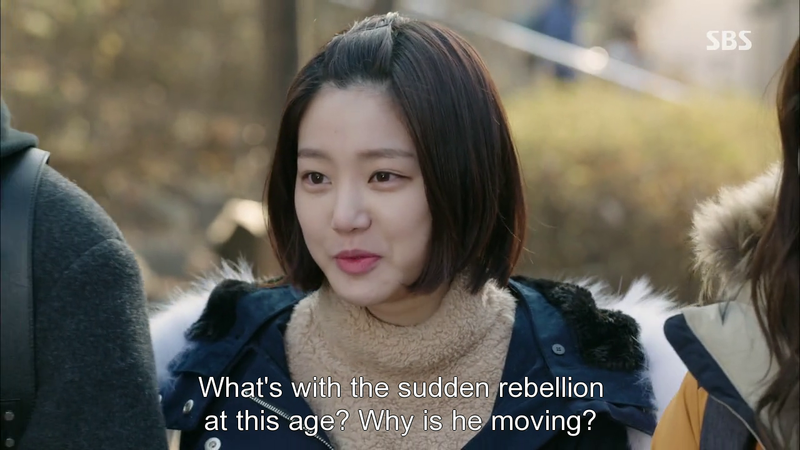 It’s a shame as she reminds me of what a younger, happier, sillier Jang-Byun (IHYV) would be. She’s left out of the central storyline as well, seeing how Ha Myung’s father was the scapegoat created by In Ha’s mother on the news, to change the tide according to what Bum Joo’s mother wanted so that politician would remain untouched. Yeah, there’s no one of Yoo Rae’s here, unless her father turns out to the politician in question. That would be too cliché for words. Could I love Grandpa even more? 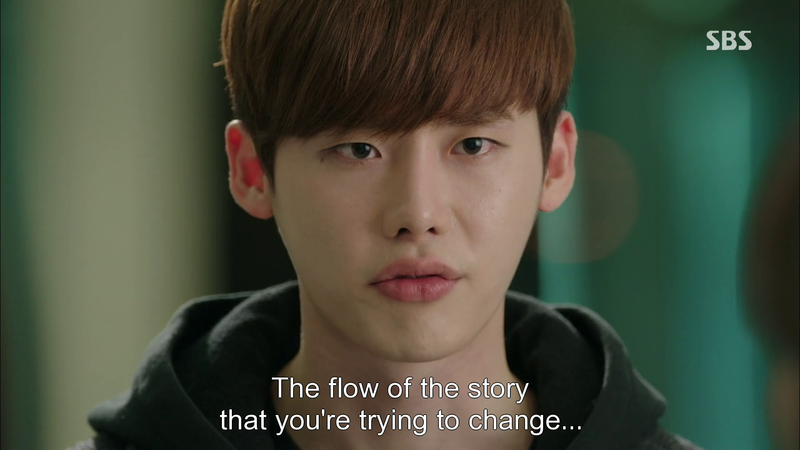 I didn’t think that to be possible, but the warm and caring way he just accepted Ki Jae Myung, just like that was…Pinocchio, why must you make me cry? 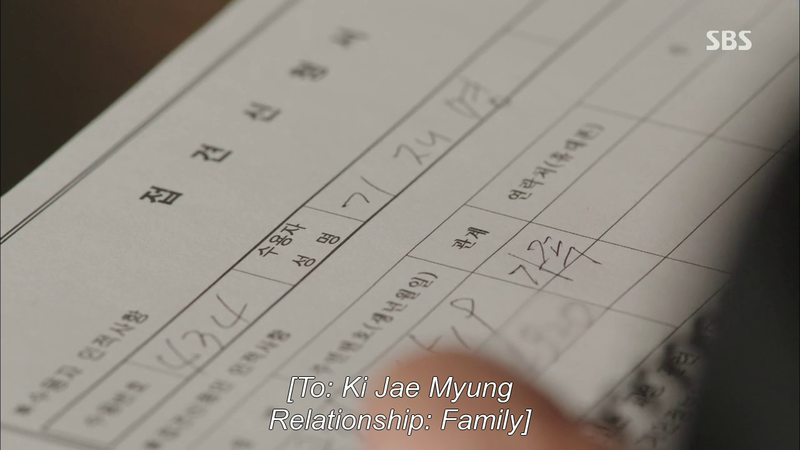 There’s just no malice in the old man as he lists himself as JM’s family. He doesn’t overthink the issue, HM is family, and therefore, so is JM. And to tell him stories of HM’s childhood…*sobs*, yeah I’m not fit to leave the house at this point. I loved how the moment was underscored with JM’s incredulity at the state of HM’s hair. Wait until you find out how long he kept it. 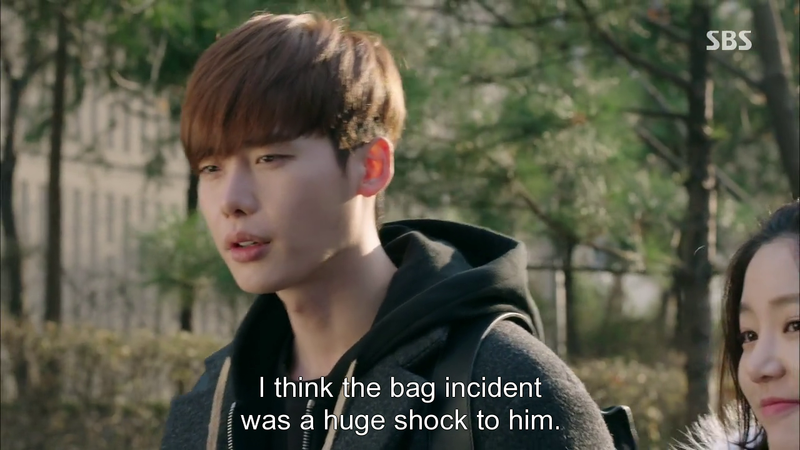 Pinocchio has a lot of goosebump-inducing scenes, it’s just too bad that they’re punctuated with such frustrating ones. There’s this vitality, camaraderie, and pure honesty to these scenes that’s really beautiful to see. Ki Ha Myung raced off to the MSC building, to tear IH’s mother down. Yet, that moment when IH started defending Chan Soo, you could feel something beginning to stir in Ha Myung, then Bum Joo joined in, and you could see how moved he was, and how happy he was that he wasn’t fighting alone, and that he had these people on his side. It only strengthened his resolve for to join in and vow to find evidence. Another life will not be taken. There are people ready for fight for the truth this time. I love for how all boils down to truth in the end. It’s such a simple concept but this show has explored it in so many ways. Our fledgling reporters have finally found their feet and just in time too. Take that Cha Ok. You’re going down. Oh it’s so good to have you back to normal, Pinocchio!